Need a warm meal that’s ready in less than an hour? This cauliflower kale soup is easy and fast. It’s Keto & Whole 30 compliant, too – unless you add bread. 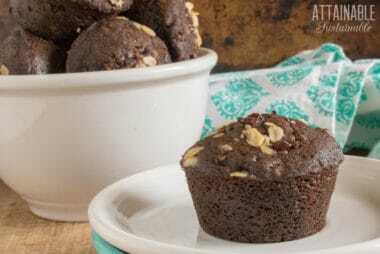 These double chocolate chip muffins are a sweet treat, great for packing into lunchboxes. A hot cup of coffee and chocolate-chocolate chip muffins FTW! 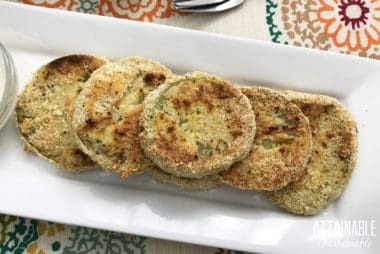 This easy fried green tomatoes recipe requires just six ingredients. It’s a great way to use end of the season green tomatoes. Bonus: They’re gluten free, paleo, and keto friendly. This easy sweet potato casserole with pecans is one of our favorite side dishes. Instead of marshmallows, it’s topped with a pecan crumb mixture to give it a nutty crunch. Muffins pack wholesome ingredients into a tidy little package. 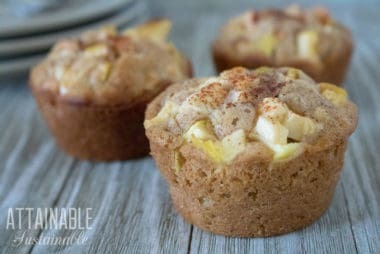 Oatmeal makes these lightly sweetened easy apple cinnamon muffins a healthy breakfast winner. 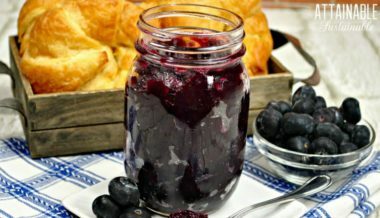 Looking for an easy blueberry jam recipe? 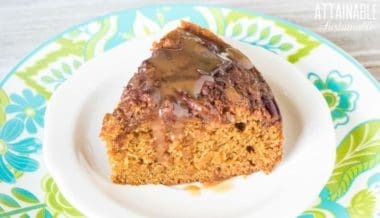 This one has just five ingredients and is made without pectin. It’s ready to spread in about half an hour! This vegetarian savory tartlet recipe – kind of like a mini quiche – features feta and roasted red peppers. It’s pretty enough for company!